Amy Jones was England’s top-scorer, making her second half-century in as many matches, while with the ball Alex Hartley bagged three wickets. 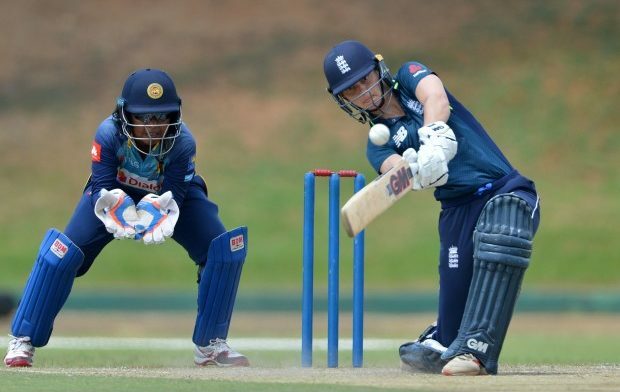 There was 43 for Tammy Beaumont and 44 for Lauren Winfield – both of whom will have been disappointed to not make 50 – but it was a day without too many downsides for Heather Knight’s side. Amy Jones: “It wasn’t easy out in the field and I think all the bowlers did really well to stick to their plans and keep the pressure on in heat like that. “Laura Marsh got us going but every bowler kept it tight and it’s not an easy wicket to bowl on. It was nice to see Alex pick up some wickets, and for our bowlers to deliver without Katherine. “I feel in good form with the bat at the moment and I’m enjoying the fast outfields but any time you pass 50 you do want to go on and make three figures. Hopefully if I keep doing what I’m doing and working hard the rewards will come.